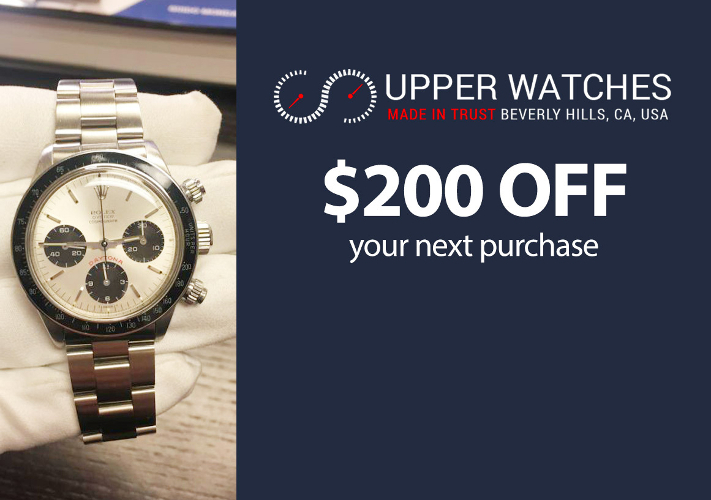 UpperWatches was created by two entrepreneurs, established in Beverly Hills for nearly a decade. Created by two passionate entrepreneurs of luxury watches, more specifically by Rolex, Patek Philippe, Audemars Piguet, Omega, Richard Miles & Panerai. UpperWatches is here to offer you the Best Watches at the Best price. So, do not hesitate to contact us, we will be happy to share our passion with you and respond to all your requests.